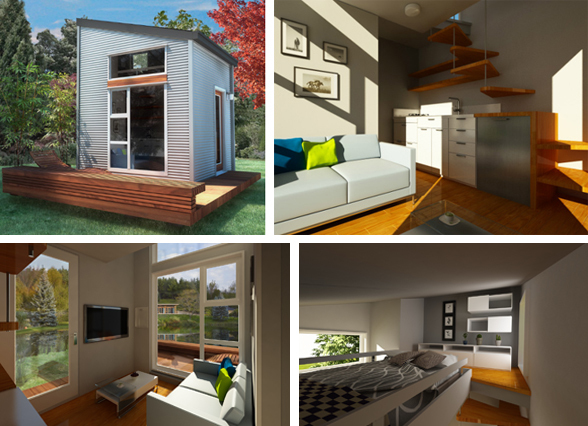 The impetus: “The Tiny House Movement is currently driven by individuals at a grass-roots level who, for the most part, have built their own homes and are living sustainable, mortgage-free lives. Recognizing the importance of these progressive dwellings and the philosophy adopted by their occupants, NOMAD has taken on the challenge of making this affordable housing option accessible worldwide.” Where do we sign up? They recently started the funding process via Indiegogo. At the time of writing, they’ve raised over $15,000 of their $120,000 target, and have 40 days left.